Free download of the eBook is from the drop-down menu (on mobile devices). Truth has no price. Over two thousand years ago a being was tasked with delivering a message to a distant galaxy. There was a problem. The period in which this being could enter that realm meant His message would not be understood, for over two millennia. The solution. Find a person who was not influenced by the culture of the time and give that one the message. Encrypt the message so that it would be kept safe for the future, when it could be understood. This message is in the Gospel of Thomas and its interpretation is here. The Gospel of Thomas was discovered just after WWII, buried in a clay jar in Upper Egypt. The Gospel of Thomas is interpreted and explained here in 77th Pearl: The Perpetual Tree. understanding that we are one. God is in humanity. 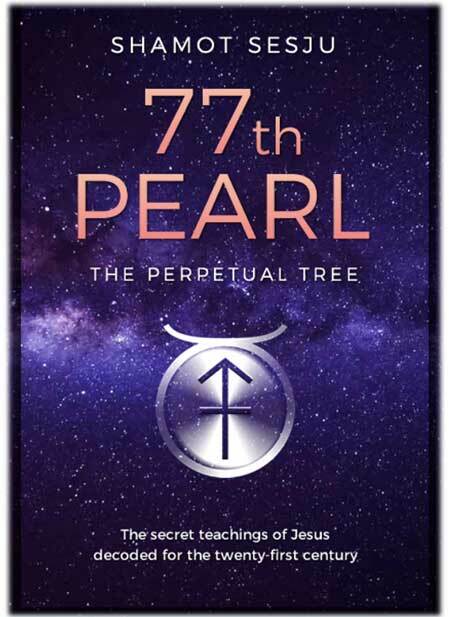 77th Pearl: The Perpetual Tree. For audio versions of some of the extracts below go to the YouTube channel. Gospel of Thomas - Gnostic or not? Gospel of Thomas on Humans - Good or Evil? Gospel of Thomas on what is the Holy Spirit? Gospel of Thomas where is the Kingdom? Gospel of Thomas: Does Jesus bring War? that has given rise to this crop. The information you will find in this book is so important that the author has financed the creation of the eBook, for free download. However, he cannot afford to have printed copies made and delivered. If you wish to purchase a hard copy click on the link below. Shamot Sesju was born in Grasse (France). His family migrated to Australia in 1968 when he was two. Shamot’s childhood in the central South Australian opal-mining town of Andamooka inspired his life long fascination for matters concerning the Spirit.